What is most important is you find a business with the correct business model that can grow sales. The sales engine of the company is the most important aspect, and also the one most overlooked by investors and analysts. Sure, cost structure matters, and business model matters as does “capital allocation”, which is what they do with the tiny bit of leftover money, but what matters most is sales. Herein lies a problem. How do you determine that a small company with the correct business model will grow sales at a high rate? The only way to do that is to visit the company and talk to management. But talking to management isn’t enough. You need to sit down and discuss their sales strategy, understand who their employees are and evaluate the ability to execute on their plan. This is clearly a dark spot for most analysts and investors. How do you determine if the sales manager is selling you, or knows what they’re talking about? Especially if there isn’t much in the way of results to look at? I believe it’s possible, but instead of having a solid background in financial analysis you need to have sales experience and understand the sales process. Instead of reading the newest book on investing strategies your bookshelf should be full of books on pricing, call strategies, how to approach demos, and prospecting. It’s also worth remembering that enterprise sales is a different beast from consumer sales, or small business sales. When you start to put all the pieces of this puzzle together it starts to become more apparent why everyone didn’t invest in Starbucks, or Microsoft, or Oracle when they were tiny companies. To truly catch a compounder when they’re in infancy you need a set of skills that few investors possess. It’s not impossible to build out that skill set. Understanding this paradox also helps to expose the myth that buying high growth companies is a surefire way to success. Buying high growth companies IS a surefire way to success if you can buy them when they’re small enough and their market is large enough. The single most important correlate of delay time with youngsters was attention deployment, where the children focused their attention during the delay period: Those who attended to the rewards, thus activating the hot system more, tended to delay for a shorter time than those who focused their attention elsewhere, thus activating the cool system by distracting themselves from the hot spots. Delayed gratification isn’t about surrounding yourself with temptations and hoping to say no to them. No one is good at that. The smart way to handle long-term thinking is enjoying what you’re doing day to day enough that the terminal rewards don’t constantly cross your mind. The greater issue, he says, is whether Systrom and Krieger are taking proprietary and/or patented intellectual property with them. Imagine 100 years from today. My great great grandkids will have the ability to see who I was, what I was like, who I spent time with (if I give permission to Facebook to share my account prior to my death…?). This is a wonderful service for future generations. How could a company replicate such a wonderful service? All the photos, memories, comments, stories, and effort that we’ve put into the platform for the last 14 years has created a network and a legacy that I don’t believe will be easy to move or replace. We believe the moat around Facebook is getting wider everyday. That being said, short-term data shows declines in user numbers for the youngest cohorts. This should be expected. Facebook becomes more interesting for people as they get older. As you age a mature you are posting pictures of your wedding day, your first child, your parents holding grandchildren, etc. You spend time staying in touch and looking at the lives of people that use to be very important in your life, like your brothers or friends from college, old work colleuges, etc. When you’re in high school you live with your family, you don’t have many friends that are scattered across the world, and you’re too cool to stay in touch with Mom and Dad. SnapChat makes way more sense for this young cohort. You can send inappropriate and temporary images as you discover who you are. I wouldn’t expect Facebook to ever really dominate the youngest cohorts, but I do expect that as this cohort matures many of them will spend less time and SnapChat and more time on Facebook. Priorities change overtime and Facebook definitely plays a critical and positive role in the world today. It turns out that costly physical infrastructure and traditional linear programming don’t always doom media companies in their battle against digital upstarts. That’s a particularly relevant point today as Comcast bulks up to continue its battle against Netflix. Sirius has a sticky business model, in which car buyers predictably turn on the Sirius XM radios that come pre-installed in new cars. We’re at the point where a growing number of used cars are being re-purchased with those same Sirius radios still installed, making used-car buyers a growing market for Sirius. But a satellite radio subscription still can’t match the ease of use or cost of Pandora’s smartphone app, which ranges from free to $10 a month for unlimited music. In an investor presentation on Monday, Sirius noted that Pandora expands the company’s presence “beyond the vehicle,” while diversifying Sirius’ revenue stream by adding the country’s “largest ad-supported digital audio offering.” Sirius sees opportunity for cross-promotion between its 36 million paying subscribers and Pandora’s 70 million active listeners. The bulk of Pandora’s users are non-paying customers, but the company does have about six million paying subscribers. Sirius can now try to sell its subscription package into Pandora’s large user base. Blackstone has grown five-fold since its initial public offering in 2007, reaching nearly $440 billion in assets, largely on the back of private equity, real estate, hedge funds, and credit. Over the last 12 months, Blackstone has brought in a record $120 billion in investor capital. Speaking at Blackstone’s Investor Day on September 21, president and COO Jon Gray stressed that Blackstone’s business requires very little capital. Of the $439 billion it manages, only $2 billion represents balance-sheet investments. Instead, it invests the assets of its clients, largely pension funds, endowments, and other institutions. Some of the firm’s future and early-stage initiatives, such as private wealth, involve tapping more mainstream investors. Insurers are facing increasing regulatory capital requirements and continue to be squeezed by low interest rates. “They have no choice but to move into alternatives and private credit,” said James. Insurance companies, which hold a majority of their assets in fixed income are a natural fit with Blackstone, which is one of the largest originators of credit assets. Blackstone will both manage the assets for insurers like it does for any institution, and buy mature books of business where it takes on the entire balance sheet and manages both liabilities and assets. “This is a larger and more profitable business than simply having accounts to manage. There are hundreds of billions of insurance assets being sold as we speak,” he said. There are early signs the bet is paying off. While in secret talks to sign Ronaldo, Juventus increased average season ticket prices by 30 per cent. All 29,300 have been sold. On match day the Juventus stadium superstore is doing a brisk trade in Ronaldo replica shirts, costing up to €154.95 — among the highest prices in Europe. For his home debut, fans travelled from all over the world while television networks spent days trailing his arrival in Turin. To sign the striker Juventus agreed to pay Real Madrid a €100m fee over two years, a further €5m in payments that will ultimately be paid to clubs that trained him as a young player, and about €12m in fees to his agent, Jorge Mendes. Ronaldo’s four-year contract provides a salary worth more than €50m a year after tax, according to reports. The remuneration package will also allow Juventus to use his “image rights”, so that the player — who earns an estimated $47m a year in personal endorsements — can also be used in Juventus promotional campaigns. Financial services firm KPMG estimates that, including the transfer fee, amortised over the duration of his contract, Juventus will pay around €340m, or €85m a year for Ronaldo’s services. Agarwal wouldn’t give sales numbers, but he said the number of transactions has tripled in the last year, with 90 percent coming from repeat travelers — and no money spent on advertising. There are now 10,000 hotels in 160 Indian cities, with more than 125,000 rooms, listed on the site, he said. That’s about 5 percent of India’s total room inventory, according to RedSeer estimates. As of last year, more than 91 percent of design patents granted in 2013 had been discarded because people stopped paying to maintain them, according to JZMC Patent and Trademark data compiled for a Bloomberg query. Things aren’t much better for utility models with 61 percent lapsing during the same five-year period, while invention patents had a disposal rate of 37 percent. In comparison, maintenance fees were paid on 85.6 percent of U.S. patents issued in 2013, according to the United States Patent and Trademark Office. Bio-security routines that require sanitizing hands and dipping shoes in disinfectant bins minimize the risk of disease and the need for antibiotics that other forms of aquaculture heavily rely on, says Peterson, who has advised Nordic Aquafarms regarding best practices. However, just one employee who fails to complete the process correctly or neglects other basic protocol could contaminate the operation—with pathogens potentially looping through the recirculating system and killing an entire tank of fish. Large-scale companies could guard against this with monitoring equipment that lets them respond quickly to any issues, Peterson says, adding that strict government permits require routine monitoring that would also detect unusual levels of discharge in wastewater. The real environmental toll of big indoor systems will depend on the capacity of local infrastructure, including the water supply, Timmons says. Recirculating systems can recycle more than 90 percent of tank water but some of it does get lost to evaporation or absorbed in solid waste each day. He calculates that a farm the size of the Belfast facility would (after the initial tank fill) consume about 1.65 billion liters of freshwater per year—roughly equivalent to the water use of about 12,000 people. But he notes even in a town of fewer than 7,000 people, like Belfast, this is within the capacity of the local aquifer—and is dwarfed by the volume of water the farm would recycle each year. In more drought-prone regions indoor aquaculture facilities could release wastewater for irrigating agricultural fields, reducing the water burden, Timmons adds. Nearly half of all cellphone calls next year will come from scammers, according to First Orion, a company that provides phone carriers and their customers caller ID and call blocking technology. The Arkansas-based firm projects an explosion of incoming spam calls, marking a leap from 3.7 percent of total calls in 2017 to more than 29 percent this year, to a projected 45 percent by early 2019. According to the Centers for Disease Control and Prevention, nearly 80 percent of adults and about one-third of children now meet the clinical definition of overweight or obese. More Americans live with “extreme obesity“ than with breast cancer, Parkinson’s, Alzheimer’s and HIV put together. Petrov did not report the incoming strike. He and others on his staff concluded that what they were seeing was a false alarm. And it was; the system mistook the sun’s reflection off clouds for a missile. Petrov prevented a nuclear war between the Soviets, who had 35,804 nuclear warheads in 1983, and the US, which had 23,305. A 1979 report by Congress’s Office of Technology Assessment estimated that a full-scale Soviet assault on the US would kill 35 to 77 percent of the US population — or between 82 million and 180 million people in 1983. The inevitable US counterstrike would kill 20 to 40 percent of the Soviet population, or between 54 million and 108 million people. If you ask a question as close as possible to the claim you want to make, and ensure you survey a representative national sample of category users, any national chain in any category will beat competitors that are superior but only regionally available. And because Taco Bell is pretty much ubiquitous, and enough people everywhere will vote for it because they haven’t found good, authentic Mexican food in their areas, it wins this title. There is no way that local restaurants, or even good regional chains, could compete with the sheer numbers of a national chain. We ranked Priceline’s acquisition of Bookings B.V. alone — even when excluding the Active Hotels transaction — as the fifth greatest deal in Internet history, surpassing Google-DoubleClick and Amazon-Zappos in terms of value creation. Priceline’s Active-Bookings acquisitions transformed a travel brand that was running out of capital resources and international expansion options for its Name Your Own Price business. It opened up global opportunities in hotel bookings where Booking.com disclosed the room rates in advance instead of cloaking them in a relatively complicated bidding process. Geert-Jan: I had very little knowledge about the hotel industry. I was a night porter in a hotel as a student. It gave me some inspiration and at least I knew how the reservation process went because we had people who came in at night who hadn’t booked so they came in for a reservation. I had no clue about commission rates; that’s why I started with 5 percent. To me, it sounded very logical that hotels themselves should know the best room rate they can charge at any time. From the beginning, it was the hotel that decided what the rate should be on the website. Active Hotels in the UK and Bookings.nl in the Netherlands launched separately using the agency, or pay-at-the-hotel, business model while large U.S.-headquartered companies such as Expedia, Hotels.com, and Priceline.com were having various levels of success in Europe. These major online travel agencies focused on big hotel chains, which weren’t as important in Europe. Expedia and Hotels.com were enamored with the higher-commission merchant model, which required travelers to pre-pay for their hotel stays, and that just wasn’t the way things were done in Europe. Priceline.com was trying its Name Your Own Price bidding model in the UK and elsewhere internationally, and it wasn’t getting traction outside the United States. Bookings.nl merged with the UK’s Bookings Online in 2000. In 2002, Barry Diller’s USA InterActive/IAC acquired Expedia, and came close to buying Geert-Jan Bruinsma’s Bookings.nl in Amsterdam. Separately, in 2003, IAC/Expedia signed a non-disclosure agreement with the UK’s Active Hotels, but a deal never materialized. Together, these decisions may have arguably amounted to the biggest missed opportunity in online travel history. In July 2005, Priceline.com acquired Bookings B.V. for $133 million. Although the joint operation and merged companies — Active Hotels and Bookings — would eventually take the name Booking.com, it is interesting to note that Priceline paid more for Active Hotels, buying it in 2004 for $161 million, than it did for Bookings. Now the focus became to integrate the two companies, which at that time had 18,000 properties combined, the largest inventory among online players in Europe. In the grand scheme of things, the integration went remarkably well, although it was at times a tough marriage between Active and Bookings. There were cultural differences and clashes among the teams; most of the Active Hotels leadership left after a year or two. In both deals, management reinvested a portion of the acquisition proceeds back into their respective businesses. So winning the market is the big thing. The thing that is so essential that people need to understand is that the world is a really big place. The good news is that markets are bigger than ever. There are more consumers on the internet than ever before. There are more businesses that use software than ever before. Number two is getting to the next product. We are in a product cycle business. Which is to say that every product in tech becomes obsolete, and they become obsolete pretty quickly. If all you do is take your current product to market and win the market, and you don’t do anything else — if you don’t keep innovating — your product will go stale. And somebody will come out with a better product and displace you. If you do take the market, you tend to have the financial resources to be able to invest heavily in R&D. And you also develop M&A currency, so you can then go buy the second product if you have to. It gives you another option to get to the second product. The general model for successful tech companies, contrary to myth and legend, is that they become distribution-centric rather than product-centric. They become a distribution channel, so they can get to the world. And then they put many new products through that distribution channel. One of the things that’s most frustrating for a startup is that it will sometimes have a better product but get beaten by a company that has a better distribution channel. In the history of the tech industry, that’s actually been a more common pattern. But then the third thing you need to do is what I call “everything else,” which is building the company around the product and the distribution engine. That means becoming competent at finance, HR, legal, marketing, PR, investor relations, and recruiting. That’s the stuff that’s the easiest to put to one side — for a little while. If you’ve got a killer product and a great sales engine, you can put that other stuff aside for a while. But the longer you put that stuff aside, the more risk that you develop and the more you expose yourself to catastrophic failure through self-inflicted wounds. And so at some point, if the early guys don’t get to the other 95% of the market, somebody else is going to go take it away. And whoever has 95% of the market, number one they’re going to get all the value. All the investment returns, all the employee compensation flows to that company. And then number two, that company then accretes resources so they can work backward. In a lot of cases, they end up buying the company that got the early adopters for a small percentage of their equity, and then they just take the whole thing. One interesting question I have is: Would you rather have another two years’ lead on product, or a two years’ lead on having a state-of-the-art growth effort? First of all, raising prices is a great way to flesh out whether you actually do have a moat. If you do have a moat, the customers will still buy, because they have to. The definition of a moat is the ability to charge more. And so number one, it’s just a good way to flesh out that topic and really expose it to sunlight. And then number two, companies that charge more can better fund both their distribution efforts and their ongoing R&D efforts. Charging more is a key lever to be able to grow. And the companies that charge more therefore tend to grow faster. The unicorns of the 2013 and 2104 vintages of consumer companies should have matured already, and the number of consumer unicorns won’t change substantially even if we wait several more years. Enough time has passed for hit enterprise startups from 2013 and 2014 to break out, making those vintages mature. It starts first and foremost with the network effects that the Empire has that translated so well to the smartphone. The world has seen dominant consumer companies before — from Walmart to Disney to Nike to AOL — but never consumer companies that had this ability to connect all their mobile users together for the benefit of the entire ecosystem. More Snapchat users leads to better content shared and choices for people to instantly communicate with (direct network effect). More Apple iPhone users leads to better network infrastructure like 4G that improves the mobile experience (indirect network effect). More Uber drivers leads to cheaper and faster rides for passengers (two sided network effect). And so forth. The Empire grows stronger with every like, share, click, ride, pin, post, watch, buy, publish, and subscribe. Next, every consumer company obviously needs consumers to be successful, and the Empire has unparalleled distribution advantages. Facebook and Google’s distribution power is obvious and it’s no coincidence that those two companies have 11 products between them that each have more than 1 billion monthly active users. But Netflix and Amazon also have tremendous distribution advantages. Netflix retains their subscribers better than anyone in the business — less than 1% cancel each month, which is about 5 times better than other video subscription services. That allows them to spend more for each subscriber (about $100) than other services because subscribers will stick around longer to payback that marketing expense. Amazon has launched 100 private label brands and grown them quickly because they can redirect shopping traffic towards their own products. For example, Amazon’s private label isn’t just the preferred option when purchasing batteries through Alexa; it’s the only option. So perhaps not as obvious as Facebook and Google, Netflix and Amazon’s distribution powers are just as potent. Finally, it takes world class product and engineering talent to build great consumer products and the Empire has amassed one of the largest and most talented army of builders in the world. Amazon is the single largest spender in the entire country on research and development at $22.6 billion dollars last year. Apple, Google, and Facebook aren’t far behind as all three rank in the Top 10. And not only is the Empire army the biggest on the field, they are also given unique insights and capabilities that no one else has. For example, Apple iOS application engineers can utilize features of the platform (known as private APIs) that other mobile developers are not allowed to use in their apps. The app translates a staggering 143 billion words every day, Pichai said. And, he added, it got a big boost during this summer’s World Cup soccer tournament. Given that a lot of people most likely use the translation app while traveling, it’s not a stretch to imagine ads for local hotels, restaurants, and other traveler-oriented attractions. Even if a Google Translate user isn’t traveling, the app could offer pitches for travel guides and language schools. And as Google continues to enhance the translation app with new features, the business opportunities are likely to expand. There could even be potential for an enterprise business opportunity, by allowing other companies to leverage the technology into their products. In 2018 alone, Netflix CEO Reed Hastings said Netflix will spend over $10 billion on new content, release 80 new films, and premier an astonishing 700 new television shows. For context, the top six movie studios released 75 movies in 2017—combined. From a customer’s point of view, this an unprecedented value proposition: For the price of two lattes per month, you gain access to some of highest-rated and most-watched television shows and movies on the planet. From the industry perspective, this is what drives studio executives and networks insane: Netflix uses its war chest of capital to buy and finance new projects, often out-bidding other buyers of content and acquiring international rights. By owning the direct relationship between customer and content, Netflix and the other subscription-based streamers have an incredible advantage. In any business, customers go to the providers with the best value proposition—and right now, over-the-top (OTT) streaming has the best value. Netflix wouldn’t dare sully the viewing experience with clunky, annoying advertisements. And because of their subscriber-based business model, they don’t have to. In 2019, for instance, Disney plans to launch its own direct-to-consumer subscription service. Time will tell if this will work, but it’s our view that it’s too little too late. Yes, Disney holds the keys to lucrative properties within Pixar, Marvel, LucasFilm, etc. And launching the service with a Star Wars movie or television show will certain get some traction. But by 2019, that “distribution ship” will likely have already sailed. Netflix and Amazon will have hundreds of millions in combined viewers, and Disney will be starting from scratch. While the Mouse House may certainly find a core audience hungry for their content, its own subscription service may not justify itself—and it would not be shocking to find Disney looking for a distribution partner in someone like Amazon, who will already has over 100 million Prime subscribers. Airbnb was conceptualized in August 2007 as an alternative to hotel lodging. We calculate it is now the largest player in the $150 billion alternative accommodation booking market with a high teens share, up from about 4% in 2014. We estimate that roughly half of the market’s bookings occur online, with Airbnb holding around 35% online share today versus about 10% in 2014. We believe a premium is warranted based on several attractive features Airbnb offers investors, including (1) a powerful and rare network advantage that should drive continued share gains in a rapidly growing alternative accommodation market; (2) an opportunity to expand its network and addressable market into hotel, experiences, corporate, and transportation; and (3) strong profitability prospects driven by high consumer awareness, allowing the company to leverage top-line growth. We believe Airbnb’s IPO should be on the radar screens for investors seeking exposure to a company positioned to gain share in the nearly $700 billion global online travel market, which we estimate will grow 9.4% annually on average over the next five years. We estimate that Booking Holdings is already second behind Airbnb in the private accommodation market, having expanded its online share to roughly 20% last year from the midteens in 2015 driven by industry-leading supply and demand ((over 5 million alternative accommodation listings and around 450 million monthly visitors). We expect Booking to continue to see share gains at the expense of smaller competitors as it invests further in its non-hotel network with the goal to become the leader in the market. We estimate that its alternative accommodation booking growth rate can begin to eclipse Airbnb’s in 2020, as Booking’s investments and powerful network advantage take hold. We think Airbnb can gain traction in the corporate booking market, which we estimate at around $1.1 trillion, as its partnerships and initiatives reduce the back-office and safety concerns of many global firms, aiding its network advantage and growth opportunity. The company has announced several major partnerships in the past few years. The global air and ground transportation markets are large at around $600 billion and $100 billion, respectively, but the consolidation and efficiency of the industry offers only low-single-digit take rates (compared with teens and 20% for lodging and experiences, respectively). We wouldn’t expect transportation attached rates on Airbnb lodging bookings to be more than a single-digit level, since the company can’t offer any differentiated experience. Also, travelers love to shop around for the best deal, especially in a commoditized environment like transportation. We expect just 1%-2% of Airbnb’s total revenue to come from the segment in 2022, following an anticipated launch into these markets in 2019. The acquisition of Qoo10 underscores how eBay is at the same time pulling back from general plays while doubling down on more targeted opportunities. Earlier this year, the company gave up its stake in Flipkart as part of its acquisition by Walmart, but at the same time committed to investing in a new, standalone eBay operation in India, using some of the $1.1 billion in proceeds it made from selling its Flipkart stake to Walmart. But eBay isn’t going to go head-to-head with those two. Instead, its India operations will focus on cross-border sales, so essentially looking to connect buyers and sellers in the country with opportunities overseas within its network. That’s the same model it has used to effect in other parts of the world, so its acquisition of Qoo10 and its other international services will be a key part of that India strategy, and vice versa. Establishing this reputation has required JD to adopt a strategy radically different from that of its greatest rival, Alibaba, which is essentially the eBay of China—a platform connecting customers to a vast network of third-party sellers. Although there are an increasing number of third-party sellers on JD’s site, the core of its business, like Amazon’s, involves managing the entire supply chain. It buys from manufacturers, stocks inventory in warehouses, and invests billions of dollars in development, including a kind of in-house FedEx, called JD Logistics. There are now nearly eighty-five thousand delivery personnel like Xia, and several thousand depots, from large hubs to tiny outlets like the one in Xinhuang. “The couriers are the faces of JD,” Liu said. “They come to your home. You have to trust them.” The success of this network, combined with the notorious unreliability of the Chinese postal service, means that JD Logistics is now itself a product—a service that other e-commerce players pay to use. Is JD.com the future of Chinese e-commerce? When breaking down the costs to fulfill an order from the warehouse to the customer’s front door, about 30-35% of costs go to warehousing, another 20-25% to transporting products from the warehouse to local delivery hubs, and 40-45% to last-mile delivery, which is mostly human labor costs and transportation costs. However, this cost structure is mostly indicative of urban, densely populated regions that have large fulfillment centers and dedicated last-mile delivery staffs. Most rural cities are quite different in that they don’t have sophisticated layers of network infrastructure. For example, large fulfillment centers are replaced by small delivery depots or mom-and-pop shops acting as pick-up centers. Since most consumers pick up their packages at these centralized locations, large last-mile delivery staffs are not required. It’s hard to say if drones would result in cutting logistics costs 70% on its own, but overall the fulfillment process could achieve significant savings. JD has always approached its business from a customer’s perspective, utilizing an integrated retail and logistics model to provide a superior experience. In JD’s early days, 70% of customer complaints involved delivery service, since China’s logistics infrastructure was essentially nonexistent. To solve this issue, JD founder Richard Liu decided to take operations in-house, recognizing this would be a critical differentiator in providing the best customer experience. JD now delivers 90%+ of direct retail orders within 24 hours, an unfathomable achievement in markets outside of China. But as other businesses eventually catch up, the question turns to where future differentiation will lie. By integrating deeper into the supply side, JD can continue to structurally lower its cost of goods and average selling prices. While Alibaba can spur competition between merchants, lowering their gross margins in the meantime, the fragmented nature of the supply side means there isn’t structural pressure to the cost of goods side of Alibaba’s model, meaning prices can only fall so much. As JD’s lowers prices, receives inventory on more of a “just-in-time” basis, it will turn inventory quicker meaning it can lower prices even more. Having started as part of private equity company Blackstone 30 years ago, BlackRock is the world’s largest money manager with 70 offices globally. It manages $6.3tn assets on behalf of clients in 100 countries. Europe, the Middle East and Africa accounts for 28 per cent of its total assets under management. The region’s 3,800 staff make up 27 per cent of its global workforce while the $4.1bn of revenue from Emea was 30 per cent of BlackRock’s total last year. BlackRock has built connections with financial adviser networks tied to banks and insurers and believes it can offer complementary products. Domestic financial institutions do not see it as a significant threat when compared with local rivals. Twitch’s viewership in June approached 800 million hours, or 9 billion hours at an annual run-rate. How much could 9 billion hours of viewership be worth? A lot! NFL broadcast rights provide some good perspective. The NFL enjoys roughly 6 billion in hours viewed annually,1 and in 2013 it sold nine years of broadcast rights for roughly $40 billion.2 We expect Twitch’s viewership to be double that of the NFL by next January and to double again within our five-year investment time horizon. What would broadcasters pay for the perpetual rights to four NFLs, especially if they didn’t have to ship crews and cameras all over the country and could monetize the content more efficiently? Video game streaming is linked to monetization in a way not possible for traditional sports. Viewers pay subscriptions and sometimes tip individual streamers—from which Twitch extracts a platform fee—and, in real time, streamers can thank their viewers for contributions. On their channels, streamers often interact with viewers, sometimes taking direction from them. With stronger social and economic network effects, Twitch’s engagement and monetization should be able to top that of traditional broadcast channels. While Google has said that Loon should be able to deliver internet service for $5 per month per user, ARK estimates that it could offer even lower prices, say $4 per month. At that rate, if Loon were able to deliver internet access today to everyone in the world with enough income to afford it, its subscription revenue could approach $130 billion, roughly equivalent to estimates for Alphabet’s total sales in 2019.3 More realistically, Loon will share this market with other forms of internet delivery, such as low earth orbit satellites, but Alphabet’s opportunity is vast nonetheless. If your product is a high-frequency, high-retention product that’s ultimately going to be ads supported, DAU/MAU should be your guiding light. But if you can monetize well, develop network effects, or quite frankly, your natural cadence isn’t going to be high – then just measure something else! It’s impossible to battle nature… just find the right metric for you that’s telling you that your product is providing value to your users. Retailers ubiquitously choose Instagram over Snapchat. Nearly all retailers tracked in Gartner L2’s Digital IQ Index: Specialty Retail air Instagram Stories; in contrast, only 4% were active on Snapchat during the study period. Just 1.6 percent of all restaurant industry transactions in 2017 were conducted online for delivery, according to a report by Cowen Inc. restaurant industry analyst Andrew Charles. The same analysis estimates that online delivery accounted for $19.7 billion in gross merchandise volume, or 3.7 percent, of U.S. restaurant sales in 2017. That’s roughly in line with the proportion of retail sales that had moved online by 2008. And we all know how different the mall landscape is now compared to 10 years ago. And restaurants may even find themselves wanting to change their menus. Uber Eats has been using its data to help local restaurants launch delivery-only menus. In Chicago, it found people were searching for suddenly popular Hawaiian poke, but there weren’t many options. So Uber Eats reached out to neighborhood sushi spots, which would already have some of the same ingredients, and asked them to try making the dish for the app. Imagine how transformative those kinds of insights could be if applied at the scale of a chain restaurant. Animal farming takes up over 70% of the planet’s agricultural land, and 70% of the world’s available freshwater and energy consumption. Animal production consumes more than 1/3 of raw materials and fossil fuels in the US. It is responsible for 18% of the total release of greenhouse gases , 9% of global CO2, 80% of ammonia emissions in the U.S. come from animal waste. Globally, fish account for approximately 4 of every 10lbs of animal products consumed. To meet the growing demand, 90% of global fish stocks are overfished. Global fisheries are expected to collapse by 2048. And there is growing risk in human health with high levels of mercury, PCBs, dioxins and other health containments. But unlike chicken, pork and beef alternatives becoming more available, seafood alternatives are virtually non-existent. Alternative seafood options are very limited even at Whole Foods, and the taste and quality for these select products are subpar. We’ve realized there’s a gaping hole in alternative seafoods. The economic significance of the tariffs has been hugely exaggerated: 25 per cent on US$34 billion is an extra US$8.5 billion. China’s exports are likely to top US$2.4 trillion in 2018. The tariff impact is therefore symbolic. Even the 10 per cent tariff on US$200 billion only amounts to an additional US$20 billion. The numbers are not big, in relative terms. The tariffs shouldn’t significantly affect China’s competitiveness. China’s labour cost is less than one-fifth of the OECD level. Adding 10 or 25 per cent to it won’t affect China’s competitive position relative to the US or other developed economies. While some production could relocate to other emerging economies, they just don’t have the scale to take over significant value chains from China. The best option is to reform now and appreciate the currency later. The current trade dispute could be used as a catalyst to initiate reforms. If others complain that China’s industrial policy contains excessive government subsidies, why not scale them back and rely more on the market to create business and advance innovation? What have the subsidies done for the economy so far? After pouring in tens of billions of dollars, has China produced one significant innovation? The chances are that the market can do better. Digital companies, however, consider scientists’ and software workers’ and product development teams’ time to be the company’s most valuable resource. They believe that they can always raise financial capital to meet their funding shortfall or use company stock or options to pay for acquisitions and employee wages. The CEO’s principal aim therefore is not necessarily to judiciously allocate financial capital but to allocate precious scientific and human resources to the most promising projects and to pull back and redeploy those resources in a timely manner when the prospects of specific projects dim. Digital companies, in contrast, chase risky projects that have lottery-like payoffs. An idea with uncertain prospects but with at least some conceivable chance of reaching a billion dollars in revenue is considered far more valuable than a project with net present value of few hundred million dollars but no chance of massive upside. As firms become increasingly difficult to value and more and more companies report negative earnings, analysts perform multiple adjustments to recreate companies’ financials in their internal assessments. For example, they capitalize a part of R&D expenditures that can enhance firm’s future competitive ability and deduct a part of capital investments that merely maintain firms’ competitive ability. This is an outcome of the growing divergence between what companies consider as value-creating metrics and those reported as profits in the GAAP. For instance, standard-setters might want to encourage disclosures related to (i) value per customer; (ii) earnings or revenue outcomes or other specific metrics related to specific projects in progress; and (iii) data on how the R&D and software talent of digital firms is being deployed. Relying on firms’ voluntary initiatives is unlikely to work because executives told us time and again that they will not disclose sensitive information, unless their competition is forced to do the same. For years, cargo ships have been powered by about 4 million barrels a day of the dirtiest, bottom-of-the-barrel fraction of crude, a tarry substance known as bunker fuel or residual fuel oil. That’s set to change in less than 18 months, after the International Maritime Organization adopted rules that would keep the sulfur content of the bunker fuel on standard ships below 0.5 percent from Jan. 1, 2020. The likelier outcome is that refiners will blend each barrel with about three of lower-sulfur fractions — principally gasoil or middle distillate, essentially the same stuff as automotive diesel — to get the proportion down from 2015’s average of 2.45 percent. But that, of course, will require an additional 2 million barrels a day or so of lower-sulfur fuel, and it’s not clear that the world’s refiners can shift so fast. That, and the widening discount of January 2020 fuel oil over Brent, gives weight to a more pessimistic analysis: Shortages in the heaviest fractions of the barrel will drive up the prices of gasoil, jet fuel and gasoline, boosting the cost of crude itself until the market rebalances. Organisations with an existing marketing database must re-solicit every person’s consent (via an explicit opt-in) since individuals may have been added to the database without their consent. All opt-out consent boxes must be replaced by opt-in (without the box being pre-checked). Collection and processing of data to deliver your core service (e.g. fulfil orders) can continue unchanged, but if you wish to use historical data for marketing purposes, you need consent. Personalised ad targeting based on an individual’s specific behaviours, such as that offered by many programmatic media companies, is illegal without active content. However, targeting based on broad interest-based audience segments is permissible so long as individuals cannot be identified. The purchasing or sharing of personal data (such as email lists) is prohibited unless each person in the list has expressly permitted their details to be passed on to third parties. Event organisers, for example, can no longer share lists of attendees with sponsors. Where data must be passed to another organisation for legitimate business reasons, you should ensure they are also compliant with GDPR. This is particularly important if data is passed to organisations outside the EU who may be less familiar with its data protection obligations. Your customers now have the right to ask what data you hold and to have their data deleted permanently. Any breach of personal data integrity (e.g. through theft, hacking, or incompetence) must be notified to the authorities within 72 hours. Organisations should audit who has access to personal data and ensure they are aware of their GDPR security obligations. The performance of this services division, largely overseen by senior vice-president Eddy Cue, has been a model of consistency when placed next to the feast-or-famine performance of the iPhone. Since 2006, it has grown at an average rate of 23 per cent year on year, according to Gene Munster, a veteran Apple analyst turned investor at Loup Ventures. If it was valued like other “software as a service” companies such as Adobe, Dropbox or Intuit, Mr Munster reckons, at a multiple of 10 times 2018’s estimated revenues, Apple’s services business would be worth $381bn all by itself. Underpinning this is the mobile business, which has given Google’s search engine a new lease of life. With smartphone users carrying out more frequent internet searches, the “paid clicks” — the number of times users click on its advertisements — jumped 59 per cent in the first three months of this year, continuing an acceleration seen over recent quarters. Even with average ad prices falling 19 per cent, the result has been a pick-up in growth. The question now is whether Google’s newer businesses will extend this momentum into new markets in the years to come. Foremost among them is YouTube. The online video arm already has $20bn in annual revenue and could grow at 20-30 per cent a year for the next five years, forecast Mark Mahaney, an analyst at RBC Capital Markets. The potential is enormous: YouTube’s revenue represents only around 10 per cent of the amount spent globally on traditional TV advertising. Google’s cloud computing business, meanwhile, could represent an even bigger opportunity. The cloud market is projected to be worth nearly $250bn by 2021, according to tech research firm Gartner. That could one day make driverless cars a huge business for Google. Analysts at UBS forecast that Waymo’s technology lead will translate into revenues for Alphabet in 2030 that are equivalent to 80 per cent of its entire group revenue in 2020. Jeep — which accounts for more than 70 percent of profits, according to analysts’ estimates — will increasingly become the focal point of the group. Marchionne is set to target doubling the brand’s sales volume by 2022 from about 1.4 million vehicles last year. The growth is based on expanding Jeep’s presence in Asia, Brazil and Europe as well as widening its product offering with hybrid variants starting next year. Marchionne has already indicated that he sees chances to double the group’s profit in the coming five years on booming Jeep sales. Under the proposed agreement, Berkshire Hathaway would have provided a convertible loan to Uber that would have protected Buffett’s investment should Uber hit financial straits, while providing significant upside if Uber continued to grow in value, said the people, who spoke under condition of anonymity because the discussions were private. Buffett’s initial offer was well above $3 billion, one of the people said. During negotiations Uber Chief Executive Officer Dara Khosrowshahi proposed decreasing the size of the deal to $2 billion, one person said, hoping to get Buffett’s backing while giving him a potentially smaller share of the company. The deal fell apart after the two sides couldn’t agree on terms, one of the people said. Home-sharing in China differs from the U.S. and Europe, where travelers are accustomed to a rich bed-and-breakfast culture and many hosts rent out their primary homes while they’re away. In China, hosts don’t want strangers in their own homes. Instead, home sharing has thrived because a national building boom left a glut of empty apartments in the hands of real estate firms and property investors. With homes vacant, local home-sharing companies are tapped to clean, list and manage properties. China has displaced the U.S. over the past decade as the top export market for many Asian economies, including Japan, South Korea, Thailand, Indonesia, and the Philippines. India is one of the few countries in the region that still counts America as a bigger market for goods than China. Vietnam’s exports to China surged about 15 times to $50.6 billion in the decade through 2017, compared with a fourfold increase to the U.S. to $46.5 billion, according to import data compiled by the IMF. With exports accounting for almost 100 percent of gross domestic product in 2017, being overly reliant on one market can pose risks for the economy. To counter that, Vietnam is pursuing free trade deals with Japan and other countries in Europe and has also joined 10 other nations in March in signing a Trans Pacific trade pact. A tariff war will reduce exports and lead to imported inflation, which will hurt Indian purchasing power and investments, according to the Rabobank study. That could mean as much as 2.3 percent of missed GDP growth for India by 2022. This goes against the argument that India is relatively insulated from a trade war, given its low share of total world exports of just 1.7 percent. Besides a possible trade war, a faster-than-expected tightening of U.S. monetary policy will lead to capital outflows. Rabobank’s models estimate India losing $22 billion in capital flows by 2022, with the scenario getting complicated further, in case political instability hits India. The South Asian nation heads into a national election early next year. Condominium owners who want to rent out their property for short-term stays can do so if owners holding on to at least 80 per cent of the development’s share value agree to allow such rentals, the Urban Redevelopment Authority (URA) has proposed. In a statement, URA said the framework will look at how short-term stays can be applied to developments with common property, such as condominiums, fire safety requirements, the role of management committees and how to regulate the platform operators, among other things. Malaysia’s labour productivity stands at US$54,400 (RM211,616) compared with Singapore’s US$125,400, according to the MIER. According to the Department of Statistics, Malaysia achieved labour productivity value of RM85,031 in the fourth quarter of 2017. Zakariah pointed out that the minimum wage policy represents a significantly lower proportion of the median wage, so that means there is a lot of room for an increase in minimum wage. However, he also acknowledged that many small and medium enterprises could not afford to pay the living wage of RM2,700 prescribed by Bank Negara Malaysia. Assuming that PUC reached its investment target, it would end up with as much as 24% stake in 11Street Malaysia, with ADS holding 37% and SKP at 39%. The investment amount translates to an implied valuation of 100% equity interest in CPSB ranging from RM333.33mil to RM375mil. Post signing of the definitive agreements, PUC will have the right to nominate and appoint the chief executive officer and chief marketing officer at 11Street Malaysia. 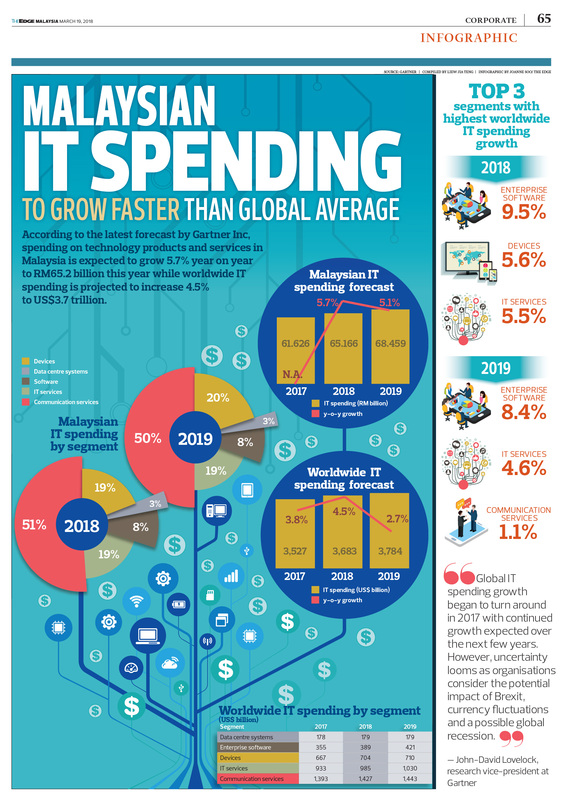 From 2015 to 2017, 11Street Malaysia reported an achievement of more than 300% growth in gross merchandising value (GMV), 160% growth to over 13 million product listings, and 200% increase to 40,000 sellers registered on its platform. As of Dec 31, 2017 11Street Malaysia recorded a GMV of approximately RM427mil and total monthly unique visitors (UV) of 13.5 million for the month of December 2017. In the next two years, JAKS sees the US$1.87 billion 2x600mw coal-fired thermal power plant in Hai Duong Province, Vietnam, driving the group’s profit growth. “Construction of the power plant is currently 22% complete and is targeted to reach 50% by the end of the year. There is a strong indication that work on the project will be expedited for full completion in 2020. As such, 2018 and 2019 are crucial years for us,” Lam Poah said. In Malaysia, JAKS is eyeing to participate in public infrastructure projects involving road works, bridges, hospitals and sewerage treatment plants. “We are focused in terms of going into areas where we are strong and the chances of us winning the projects are high. We look at smaller, pocket projects such as water pipe replacement or sewerage plant instead of going after mega projects where we can’t compete with the big boys,” said Si Eeng. Started in 2015, the cash vouchers scheme has secured letters of award (LoAs) for about RM50 million worth of kitchen cabinetry from some 30 projects — of which about 90% are yet to be realised. Revenue realisation is slow because it will depend on completion of project, sale, and handover of units to home buyers. “It’s the opposite of our project business — where the awards are slow but realisation [of revenue] can be fast,” Tan said. The residential overhang in Penang more than doubled to 3,916 units worth RM3.82 billion in 2017 from 1,896 units worth RM1.47 billion in 2016. Similarly, the unsold [units] under construction recorded a 13.9% increase with 9,249 units (2016: 8,119 units). The primary market recorded fewer new launches with 3,879 units in 2017, down by 31.3% against 5,646 units in 2016. Sales performance for the new launches last year – of which condominiums and apartments accounted for 65% – was promising at 39%. As at end-2017, there were 497,396 existing residential units with another 44,046 units of incoming supply and 24,597 units in planned supply. “We want to repopulate George Town, so we want to have co-living spaces on the first floor of these shophouses, while the ground floor is used for commercial activities, preferably traditional trades and artisans,” newly appointed MBPP mayor Yew Tung Seang told the news portal. The report also revealed that MBPP has worked with George Town World Heritage Inc (GTWHI) and Think City to restore a row of council-owned shophouses on the famous Kimberley Street, as the pilot project for co-living and commercial spaces for artisans. “Rental will be kept affordable so that people will want to come back to live in George Town,” Yew told the news portal. It is hoped that such efforts will make the inner city of George Town “a liveable space for all”. In a first for the country, two men were fined SG$60,000 (US$45,800) each for unauthorized lettings at four apartments using the U.S.-based rental platform, Reuters reports. Singapore’s law prevents public housing rentals that are under six months — or three months in the case of private housing — without the explicit permission of the Urban Redevelopment Authority (URA). In Southeast Asia, Fong said there are only three manufacturers of glass mineral wool insulation and Poly Glass Fibre is the only one in Malaysia. “The other two are based in Thailand and they mainly serve their home market, which is big enough. One of them even focuses specifically on the automotive segment,” he said. Securing a US-based customer represents LSK’s entry into the North American market, even as it continues to expect growth from its key customers in Asia. In particular, the group has continued to see strong growth in sales in South Korea, a market in which it enjoys a dominant position due to the group’s reputation for offering high-quality products, said Kong Sim. Another area the bedding manufacturer has set its sights on is the e-commerce space. According to Kong Sim, the group has seen encouraging response for its products on Chinese online marketplace Taobao and it is planning to explore e-commerce opportunities on a much bigger scale. “This is part of our plan to go direct to our customers and cut out the middle man,” he said, adding that LSK has been in talks with Alibaba and its peers, and is currently on a learning curve. The United States is the largest importer of Malaysian furniture in 2017 valued at RM3.59bil, followed by Singapore (RM790.1mil), Japan (RM785.6mil), Australia (RM710.5mil) and the United Kingdom (RM476.1mil). The cease-fire marks a victory for Grab as well as SoftBank Group Corp., the biggest shareholder in both companies. Masayoshi Son’s firm is pushing to reduce competition in a Southeast Asian ride-hailing market forecast to reach $20.1 billion by 2025. Uber and Grab, together with two other SoftBank-backed ride-hailing firms — India’s Ola and China’s Didi Chuxing — provide about 45 million rides a day, according to SoftBank presentation material in February. “We will ensure that no one single market player dominates the sector to the detriment of commuters and drivers,” an LTA spokesman said. The LTA added that it was reviewing a regulatory framework to license private-hire car operators “to keep the private-hire car and taxi industries open and contestable”. The CCS said Singapore’s competition laws prohibit mergers that may result in a “substantial lessening of competition”, and indicated that it could “require the merger to be unwound or modified” to prevent an erosion of competition. It said it could also issue “interim measures” before it made up its mind. He said five years ago, PCB only focused on automotive handlers without test solutions, which “anyone could do”, so he built the handler with tester as a complete ecosystem to reduce competition. However, a report last Friday by Nomura highlighted US trade protectionism and a sharper-than-expected slowdown in China as bigger risks to the Malaysian economy, as exports account for 71% of GDP. “We estimated Malaysia’s ultimate exposure to the US — including via intermediate goods to China for assembly into final products destined for the US — at 10% of GDP, about half of which is in electronics products,” the research house said, adding that another 8% is exposed to China’s final demand. This is because Malaysia’s trade exposure to both China and the US accounted for 25% of its total trade, she said, pointing out that Malaysia was impacted by Washington’s earlier move to impose tariffs on solar panels. Malaysia is the largest exporter of solar cells and panels to the US, accounting for 24% of total US imports of the products last year. Meanwhile, the country’s steel and aluminium exports to the US of US$300 million in 2016 accounted for only 1.8% of total exports to the US. In 2017, China was Malaysia’s second-largest export destination, constituting 13.5% or RM126.2 billion of total exports, while the US was the third-largest export destination, accounting for 9.5% or RM88 billion of Malaysia’s total exports. “Such (the purchase of non-residential properties) financing accounted for 26.1% of banks’ exposures to the property market or 13.5% of banks’ total outstanding loans. End-financing for the purchase of shops accounted for the bulk (40%) of banks’ exposures to non-residential properties or 5.4% of banks’ total outstanding loans. Exposures (via end-financing) to the office space and shopping complex segments, where oversupply is particularly acute, accounted for 3.2% of banks’ total outstanding loans,” it said. Based on Bank Negara’s analysis, the incoming supply of 38 million square feet of new office space in Klang Valley is expected to drive vacancy rates to an all-time high of 32% by 2021 (1997: 5.1%; historical high in 2001: 25.3%), far surpassing levels recorded during the Asian Financial Crisis (AFC). The incoming supply of 140 new shopping complexes by 2021 across Klang Valley, Penang and Johor is expected to worsen the oversupply condition in this segment. In 2016, major states such as Penang, Klang Valley and Johor already had higher retail space per capita (10.5, 8.2 and 5.1 square feet per person, respectively) relative to regional cities such as Hong Kong and Singapore (3.6 and 1.5 square feet per person, respectively). This will continue to exert downward pressure on occupancy rates and rentals. “In Malaysia, our salaries and wages are low, as half of the working Malaysians earn less than RM1,700 per month and the average starting salary of a diploma graduate is only about RM350 above the minimum wage. The low-income segment of Malaysian households face many challenges with regard to their income level. Since 2014, the bottom 40% (B40) population’s income expanded by 5.8% on an annual basis. However, expenditure grew at a faster pace of 6%, reflecting the rising cost of living. It is high time to reform our labour market by creating high-quality, good-paying jobs for Malaysians,” he said at a media briefing after the release of the central bank’s 2017 annual report here yesterday. From 2011 to 2017, the share of low-skilled jobs in Malaysia increased significantly to 16% compared with only 8% in the period of 2002 to 2010. Apart from that, local economic sectors that rely on foreign workers such as agriculture, construction and manufacturing also suffer from low productivity. …in talks with a potential partner to open an airline serving Myanmar, in a move that would help the low-cost carrier cover up to 95% of the Southeast Asian travel market. “[At full capacity,] SPP Novo is designed to increase our solid production capacity by up to three times, but we will be fitting out with approximately double the capacity upon commissioning by [the] end of 2018,” said Kee. He added that about RM130 million of its revenue is derived from the manufacturing segment, and about half of this is from solid products. A back-of-the-envelope calculation suggests that if Apex doubles its solid product capacity, the group may see an increase in its solid product sales to RM130 million. “For Europe, we are working on contract manufacturing opportunities,” said Kee, noting that the group is in the midst of evaluating merger and acquisition targets, as well as joint-venture opportunities in Europe and other developed markets. “The EU GMP certification will enable the group to stay ahead of the game, ensuring the best quality of its products,” he added. Are REITs a good buy now? According to Bloomberg data, the average dividend yield for the 18 listed REITs on Bursa Malaysia, as of yesterday, stood at 6.14%. In comparison, the 10-year Malaysian Government Securities’ (MGS) yield has been held at 3.9% to 4% since Bank Negara Malaysia’s key rate hike in January. MGS is the typical benchmark to which investors use to compare REITs, which are seen as a comparatively riskier investment. But analysts told The Edge Financial Daily the rising average REIT yield is more reflective of a decline in share prices, rather than being driven by growth in distribution per unit (DPU). Hence, investors seeking to buy on weakness should consider REITs on a case-by-case basis. The San Francisco-based home-sharing company is moving to finalize a deal with tax authorities, which will apply a new tourism tax of RM10 ($2.55) per night to Airbnb members who rent out five rooms or more. The tourism levy presages an agreement on goods and services taxes. But Southeast Asia’s third-biggest economy will start collecting tax from Airbnb hosts with at least five rooms, whether in one or multiple properties. Airbnb typically signs what it calls voluntary collection agreements with governments to transfer hotel and tourism tax payments from its members to the authorities. The decade-old company said it has transmitted half a billion dollars’ worth of such taxes to more than 340 jurisdictions globally. “More than two-thirds (68%) said that their decision to divest was directly influenced by the evolving technological landscape. About half (51%) of Southeast Asian companies said that the need to fund new technology investments will make them more likely to divest — using the proceeds to improve operating efficiency (79%), and address changing customer needs (87%) in their core businesses,” said EY in a statement today. Still, Malaysia lags behind its neighbors in drawing investments. Singapore attracted $7.2 billion in tech startup capital from 2012 through September 2017, the most in Southeast Asia, according to CB Insights. Indonesia pulled in $4.6 billion, while Malaysia got $1.3 billion during the same period.